Like A. platanoides, a native of Europe and western Asia, but less often planted in our area than that species and much less often seen as an escape. 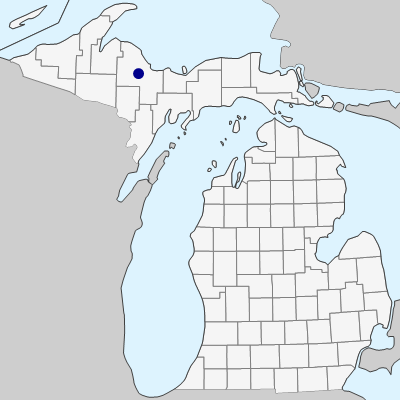 It has been collected as a self-established volunteer in vacant lots near Lake Superior in Marquette, Marquette Co. (E. A. Bourdo in 1961, MCTF, MSC; in 1962; MCTF, BLH). 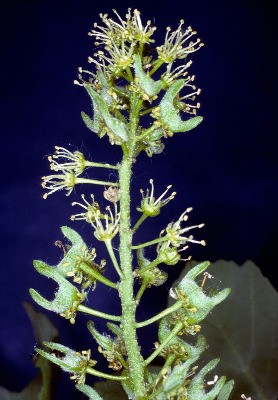 The teeth on the leaves are quite obtuse or rounded, even callus-tipped, with no little point at all. These, together with the distinctive blades 5-lobed about halfway to the base, should help to identify even vegetative plants. MICHIGAN FLORA ONLINE. A. A. Reznicek, E. G. Voss, & B. S. Walters. February 2011. University of Michigan. Web. April 21, 2019. https://michiganflora.net/species.aspx?id=2653.